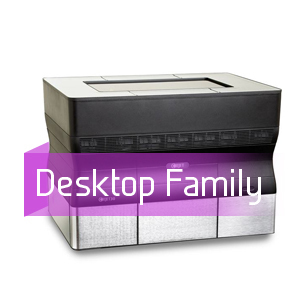 Objet’s family of 3-Dimensional Printing Systems brings high-resolution, fine-detailed models into the hands of designers or engineers and fits in any office environment. Objet’s patented PolyJetTM and PolyJet matrix technology provides a complete 3D printing solution for virtually any rapid prototyping application. 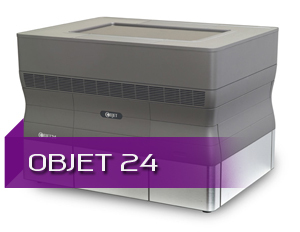 Objet Studio Software guarantees that your models are printed smoothly and accurately. 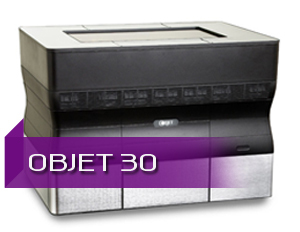 Objet 3D Printers have helped businesses around the world create the products that average people use everyday. All products require a product development process, yet the efficiency of it is determined by the time it takes to get a product to market with the smallest defect rate possible. 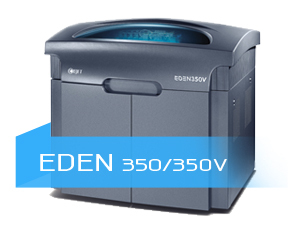 Objet printers are so versatile, that they produce prototypes closest to the end-use product as possible, allowing for a designer to spot variances early in the cycle; avoiding potential recalls, and the costs associated with them. 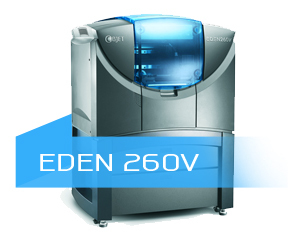 High resolution 3D printing with 28 micron layer thickness isn’t just for big-budget enterprises. With Objet’s family of low-cost desktop 3D printers, designers and engineers can build true-to-life models and prototypes featuring ultra-precision details straight from the office desk. Don’t let your ideas go to waste. 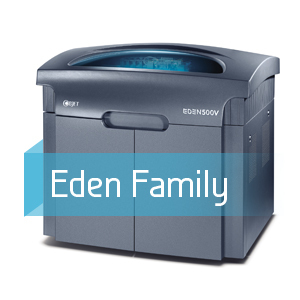 With Objet’s family of desktop 3D printers you don’t have to compromise on quality or speed. Instead, print your ideas into accurate and testable prototypes. Demonstrate them. Improve them. Then get your product to market before your competitors. And all at an affordable price! 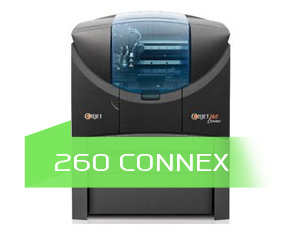 Objet’s Connex family of multi-material 3D printing systems is based on Objet’s unique PolyJet Matrix™ Technology. 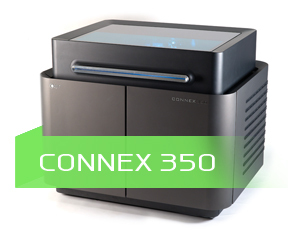 The Connex family offers the completely unique ability to print parts and assemblies made of multiple model materials, with different mechanical or physical properties, all in a single build. 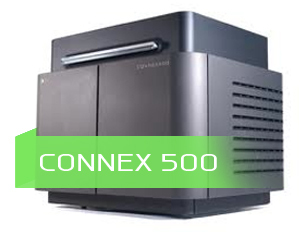 Going even further, the Connex family of multi-material 3D printers can also fabricate Digital Materials™ on the fly, enabling users to create composite materials that have preset combinations of mechanical properties. 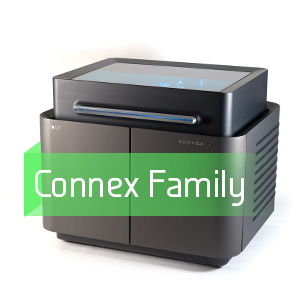 The Connex family of 3D Printing Systems works with FullCure model and support materials and Objet Studio for Connex™ software.